Employees and Self-Employed individuals across Pittsburgh turn to our experienced tax professionals to offer full service tax preparation, filing, and planning. Serving Pittsburgh, Wexford, Cranberry Twp, McKnight, Ross Twp, Sewickley and all of the North Hills. 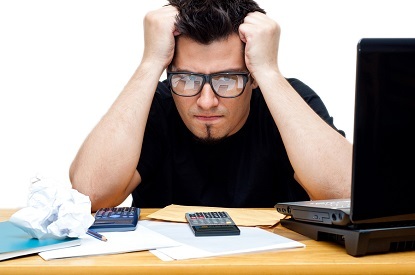 Don’t let personal tax preparation get you stressed. Our tax professionals are here to help. Whether you are a hard working employee or a self-employed independent contractor, utilizing a personal tax preparation service by experienced tax professionals will help you save time & money. The accountants of W Cotton Mather CPA have a deep understanding of current tax laws, complicated tax codes, and changing tax regulation. Our goal is to take the stress out of personal income tax filling and ensure that you can maximize your after-tax income. With year-round tax planning for individuals, we provide an assortment of tax solutions to help take the stress out of individual or self-employed tax filing and eliminate year-end surprises. We manage a wide range of tax situations and can handle complicated tax issues such as itemized deductions, rental property, dual income, 1099 forms and more. We also help contractors and self-employed individuals to implement valuable tax deductions & offer planning advice to keep your tax bill as low as possible. Our tax experts stay on top of new legislation and requirements so you can take advantage of tax saving opportunities. We address specific needs of individuals & families and create custom tax solutions that computer software programs often miss. We know that filing even a seemingly simple return can be confusing and many individuals, especially those who work for themselves, often miss deductions and credits that they are entitled to. There is no substitute for the assistance of an experienced tax professional and that’s why our team of knowledgeable CPAs is here to help.